Ian Pinard is back. Pinard gave up active politics in 2009 for health reasons and "allowed" Sam Martin to run as a candidate for the Dominica Labour Party (DLP) in the Soufriere constituency which includes Scottshead, Gillion and Pointe Michel villages. Now he is replacing Martin in the constituency for the next general election. Last month The SUN reported that many DLP supporters in the constituency were behind moves to have Martin replaced, by Pinard, and the former candidate's presence in the constituency was obvious. Speaking to the SUN then, Pinard shied away from answering the questions about replacing Martin. "I stepped down for health reasons…I love politics, that's a rumour, my goal is to go out in the constituency and help my party," he said then. "As far as I know Sam Martin is going up." Martin was also very evasive when he was asked about his replacement. "You will very much see me as the DLP candidate and that is all I am prepared to answer at this time," Martin told the SUN in an interview from his office on January 30, 2014. However, and many had vowed to stay away from the polling booth if Martin was the DLP candidate in 2014 or 2015. "Something has to be wrong. He left for health reasons and is now back. Is he much better now? What is the difference now?" a DLP supporter asked. "I am telling you that, if Sam (Martin) remains as the DLP candidate for the upcoming elections I will not vote, he has let us down and failed us and we want him replaced," an angry DLP supporter told the SUN. Others were of the view that should the DLP persist with Martin, it would make winning for the United Workers Party (UWP) candidate, Higgs Adams, much easier. But, some are also questioning Pinard's sudden return. Pinard won the seat for the DLP in 2005 with 1168 votes or 56% against Ferdinand Frampton of the United Workers Party (UWP) who obtained 903 votes or 43.6%. 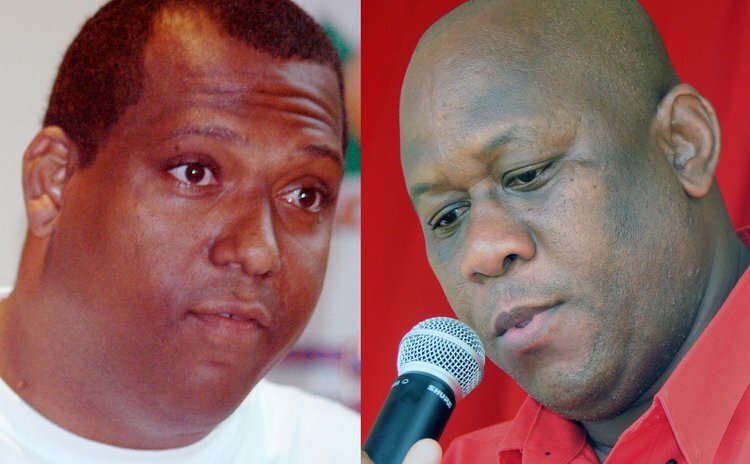 Ironically, Martin increased the margin of victory for the DLP in 2009 with 1214 votes (59.4%) against Glen Etienne of the UWP who received 777 votes or 38%. Felita Paul Thomas of the Dominica Freedom Party received 53 votes or 2.6% of the votes. DLP supporters from the Pinard camp held a meeting about two weeks ago he was endorsed as the candidate. "All I can say to you is that, that decision has not yet been fully endorsed and ratified by the constituency association branch which will be meeting later this month," Pinard told the SUN when he was asked about this latest turn of events. Several calls to Martin's mobile phone were unanswered.